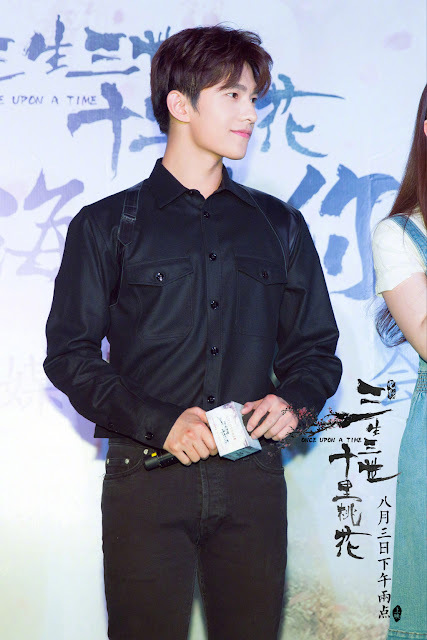 With the premiere less than a week away, promos are in full swing for Once Upon A Time before it hits theaters in China at exactly 2 p.m. on August 3, 2017 (August 11 for North America). 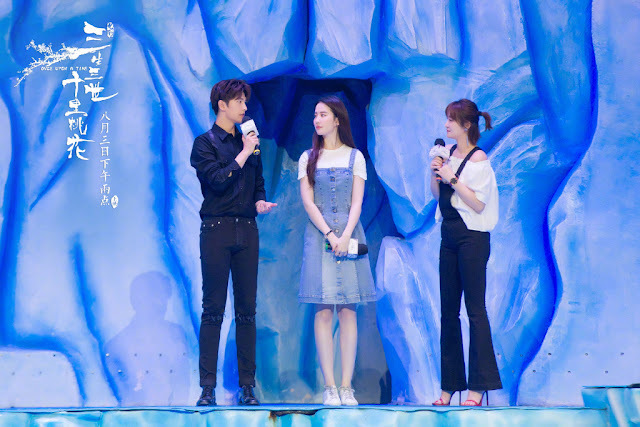 For their first stop, Crystal Liu and Yang Yang went to the Chimelong Ocean Kingdom theme park. It seems like an odd choice at first, but actually fits the theme when you consider that parts of the story between Yehua and Bai Qian take place in a palace beneath the sea. 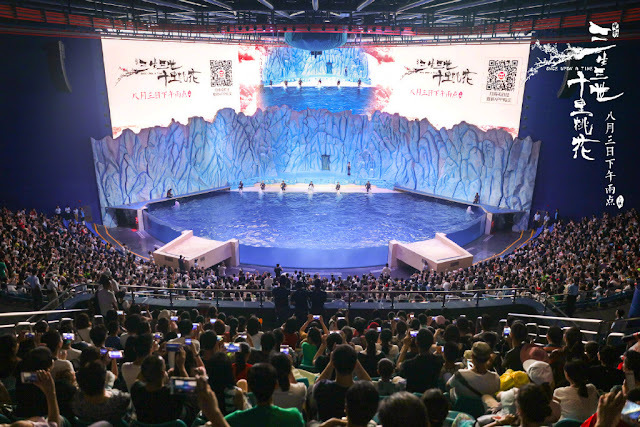 The two enjoyed some personal time backstage wherein Crystal Liu planted a kiss on a white whale, adding to a list of her many interactions with different animals. She wrote on weibo, "Completed my longtime dream of petting a white whale and I got a kiss too." At this point, I've posted tons on this movie and have said all that I wanted to say. It seems like the actors have shared all the details that they can share as well. Now, who's ready to watch this?